The first authorized biography of "the mother of American cooking" (The New York Times) This adventurous book charts the origins of the local "market cooking" culture that we all savor today. 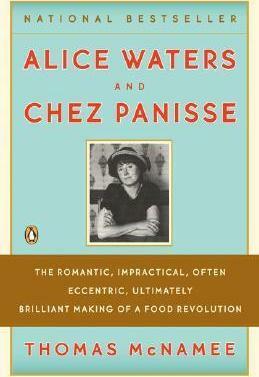 When Francophile Alice Waters opened Chez Panisse in Berkeley in 1971, few Americans were familiar with goat cheese, cappuccino, or mesclun. But it wasn't long before Waters and her motley coterie of dreamers inspired a new culinary standard incorporating ethics, politics, and the conviction that the best-grown food is also the tastiest. Based on unprecedented access to Waters and her inner circle, this is a truly delicious rags-to-riches saga. "Charming. . . . What [McNamee] does beautifully is capture the spirit of the restaurant and its spiritual growth, as well as its place in American culture." -Los Angeles Times "McNamee, an erudite journalist, essayist, poet, and literary critic, paints a particularly vivid picture of this enfant terrible of the kitchen." -San Francisco Chronicle "A wonderfully entertaining, gossipy glimpse inside a kitchen that continues to surprise and delight." -The Seattle Times "A rounded and convincing portrait of a controversial figure in American cooking." -Saveur "Careering, chaotic, and ultimately inspiring . . . McNamee's clear-eyed assessment avoids the usual platitudes about California cuisine and shows how one individual with an understanding of food can carve out a personal identity and at the same time make culinary history." Thomas McNamee is an American author who writes about culinary history, natural history, and conservation. His credits include four nonfiction books on natural history, two culinary biographies (Alice Waters and Chez Panisse and The Man Who Changed the Way We Eat), and one novel, A Story of Deep Delight. He lives in San Francisco, California.